Those who can't do, the aphorism goes, teach. But Happy Traum is one solid exception to the rule. 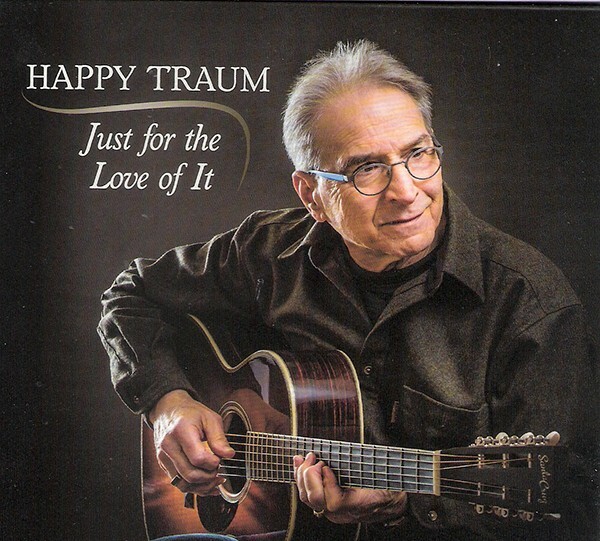 Through his Woodstock-based Homespun Music instructional label, Traum and his team have taught the world to play everything from accordion to xylophone (or close to it), and his seminal Fingerpicking Styles for Guitar has been in print now for over 50 years. But Traum can most definitely do, as evinced by his latest disc, Just for the Love of It. The title is appropriate; Traum came of age at the hootenannies in Washington Square Park and his own music has never strayed far from the fountain. Here, his deft six-string arrangements of folk classics like "Jay Gould's Daughter," Norman Blake's "Church Street Blues," and lost pal John Herald's "High Muddy Water" are abetted by heavyweight friends like John Sebastian, Jerry Marotta, Larry Campbell, and Marco Benevento, among others. There is an air of the park, too, a real feel of folks just sitting down to pick, except that you and I don't pick quite like this. Traum's thumb, a legacy of lessons with Brownie McGhee, drives the affair, pulsing with a bright urgency even on the ballads. An instrumental take of "Tennessee Waltz," in particular, shows off Traum's elegant chops. Sitting knee to knee with Martin Simpson for a duet, it's nothing fancy—no showing off needed—but it's sweet, in the pocket and right on target. Happytraum.com.